BikeBlog: 2008 is the 8th year of the bicycle film festival. 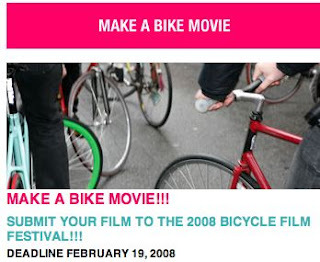 2008 is the 8th year of the bicycle film festival. As always lots going on this year and will be another amazing time for bike culture worldwide. February 19th is the deadline submission for this years 8th annual bicycle film festival.